Today we had several possible routes – some were longer, some shorter. As we were not following our original plan and lagged behind, we chose the easiest and shortest routes, that allowed us to get to Santander in one day and included 2 boat rides over rivers. The weather was cloudy, but with no rain. In first part of day we passed some small towns. In one of them we stopped at a supermarket to buy breakfast – our favourite food was a baguette with tuna and Mini Oreo cookies. 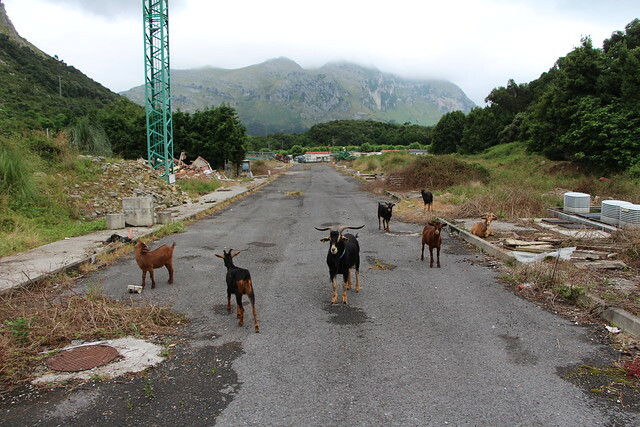 In one town we saw an interesting view – looked like a construction site turned into a goat farm. There was a small issue with one of the bikes, so in the morning we visited a bike service shop. The owner did not speak english, but understood what we wanted from our gestures and in few minutes we were ready to go to Portugalete. We got there quite fast – no mountains, just flat city roads. 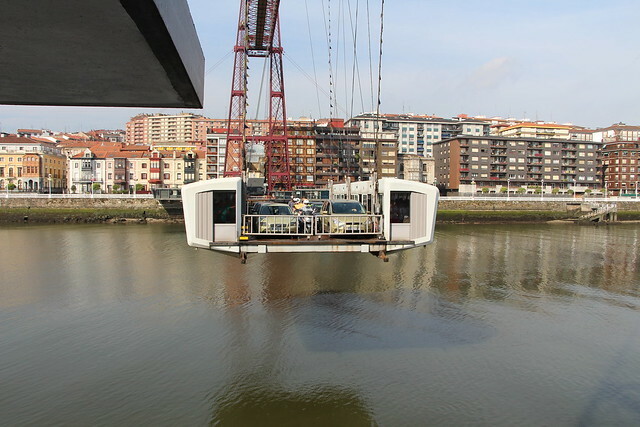 The top thing in Portugalete is a suspension bridge over the Nervión. It is a unique structure, it is the only one of its kind in the world, you get on a small platform – and then it is moved to the other side of the river.